The Life Cut Short… RIP RC Card! So the Chase Ritz Carlton Card stopped accepting new applications. Doctor of Credit even tried to bribe his followers to find a working link, but alas, no soup. That’s a huge blow – to everyone who doesn’t care about the upcoming SPG Luxury card (you won’t be eligible for the SPG Luxury card if you carry the Ritz). For a few weeks I’d been torn between applying for the Ritz Carlton card and waiting to apply for the SPG Luxury. Yesterday called to inquire about the status – denied for too many applications in the last 2 years. You don’t say! Of course, this was only the first call out of three that I usually make when I’m denied; you know how much I like taking “no” for an answer. 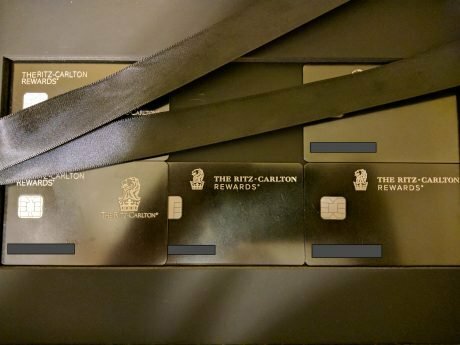 Do I really need the Ritz Carlton card? Am I so pathetically hooked on Marriott free breakfasts? Wouldn’t the SPG Luxury be a better card than Ritz? Is it troubling that I keep talking to myself? Read on. If you want funny I’ve got more. Due to the Citi Prestige [formerly] great travel protection benefits I’ve put all my travel expenses on it up until now. Unfortunately, for bookings made on and after July 29th, the most important of these and other benefits get the knife. Not the axe, mind you, but the cuts are deep and painful. Other benefits like Price Rewind, Return Protection, and others also got hit. Compare your current Citi Prestige benefits with the ones you get after July 29, 2018. Option 1: $50 statement credit per billing cycle when spending over $1500 for the next 7 billing cycles. Option 2: 1 additional point up to 50k in 6 months. Option 3: 10k points for 3k spend in 3 months. None of them are ideal, but it’s better than nothing. Since I’ve already booked a few trips on the card and since I’m going to book at least 2 4-night hotel stays in the near future, canceling the card would be like cutting off my nose to spite my face. In addition, I’ve been paying $350 instead of $450 for this card for the last 2 years (a discount for the Citibank account I’d never finished setting up). Last year, when I called for a retention bonus, I also got “$50 statement credit per billing cycle when spending over $1500 for the next 7 billing cycles.” That worked fabulously – I spent $1,500 for the first 2 months and failed on the 3rd month, but the $50 credits kept coming. I finally got all $350 back without any additional spend. So when I called and complained about the reduced benefits on Friday, I was hoping to get a more straightforward deal not tied to a new spending requirement. The agent asked what I was especially upset about and I explained that I have put all my travel expenses on this card because of the travel protection it affords, and – most importantly for the best Trip Delay reimbursement in the industry. To my surprise, I was immediately offered a $100 statement credit and 5,000 points with no spend required. A nice surprise indeed because this offer has not been listed among the Citi retention offers on Flyertalk. My latest app-o-Rama has included the following cards. It wasn’t like an actual app-o-Rama where I would apply for a bunch of cards on the same day – because, well, it doesn’t make sense anymore. I did apply for them in the course of a couple of weeks. End result? No issue with the Best Western cards and Hilton cards, denials for Wyndham and Ritz Carlton – both due to the number of new accounts opened in the last 2 years. As to Cathay Pacific, get this. After hundreds of credit cards and hundreds of thousands of dollars in credit, it is kind of amusing to get a card with a credit limit that “generous.” My first ever student credit card 25 years ago was for $500, I think. And how exactly do the good people of Synchrony expect me to meet the $5,000 spend? This is too funny. Should I call them? I’ve read enough about this bank to know that they don’t usually increase credit lines. On the other hand, how can I not even try? Anyway, this card is a goner, most likely. First, by neglecting them. Second, by trusting your email marketing service to do things right. In my quest to automate things and reduce the amount of manual labor, I connected my feed to MailChimp, set the dates, and sent it over. I thought it would be easy and automatic, but my subscribers received their emails with nothing to click on. I have no idea why; according to feed validators, my RSS feed seems to be OK (despite containing some errors that I don’t understand). Many of my subscribers got pissed and unsubscribed. I totally get it. I’d be pissed off, too. No excuses! I simply don’t know why it didn’t work. So until I do, I will send newsletters manually at least once a week, or more often, if and when I have something to say. Please, please, please – come back! 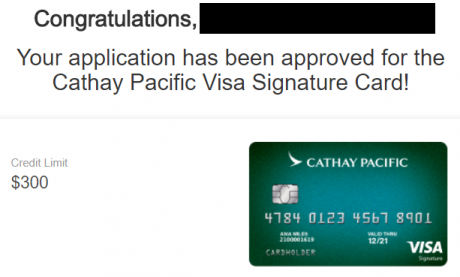 So You Still Want to Redeem Cathay Pacific Asia Miles for Europe or South America? Cathay Pacific: Book Your Asia Miles Sweet Spots Now! Cathay Pacific, Japan Airlines, Qatar… Think Airlines Award Charts Can Only Get Worse? You’re Wrong, There Is an Airline That’s Made It Better! What Do You Get When You Mix Cathay Pacific Asia Miles, Ireland, the Rest of Europe, and Some Most Awesome Travel Tools?